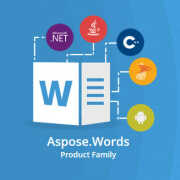 Before you can use the Aspose.Words Cloud API (or other Aspose Cloud APIs) to read and update existing documents the files will need to be loaded into the Storage in the cloud. The Aspose.Storage Cloud API can be directly accessed via the REST API but this sample will use the Cloud SDK for .NET to make the code simpler. The sample code below shows a simple function to upload a file to Storage by supplying your API keys, local file name and where you want to store the file on Storage.